Everybody is talking about this new range of rings that have made their way into the market recently. Low profile engagement rings as they are called, are taking the market by storm. Very unlike their classic predecessors which are both high and deep, these rings are low and flat. Adorned using stones with short girdle, these rings have a short profile and therefore, a practical design. These rings are unique in their aesthetics, very comfortable to wear and just the right pick for those of you whose jobs involve a lot of handwork. While low-profile engagement rings are low-set, they have tons of upsides. Listed here are some of the most significant selling points of a low-profile engagement ring. Individually and collectively, they are the real reasons why you want to buy a low-set engagement ring. The first thing that gives these rings an advantage is their settings. Low-profile engagement rings do not have very many setting options, and those they have are the most secure. 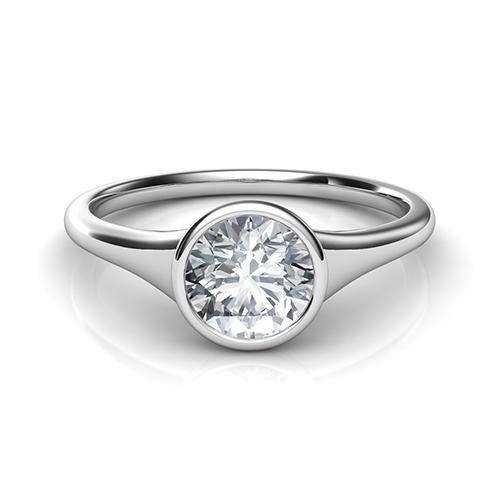 Bezel and basket are two of the primary settings of low-profile engagement rings. They are extremely dependable in terms of the security of the gems. Fashioned exclusively for people with active careers and lifestyles, these settings are very secure. They keep the gemstone safe and secure even when they are exposed to inhospitable conditions. The low profile engagement rings have arguably the most modern looks. The designs of these rings are purposely sleek and smooth. Without any unnecessary ornamentation, these rings bear a very modern look and feel. Lack of aggrandizement coupled with motives with twists and twirl bring out a very refreshingly modern look in these designs. That’s how they appeal to the crowd that are looking for distinctly modern designs. Sleek and elegant for the women with an active life style. One thing you can be sure of with a low-profile engagement ring is that they are extremely comfortable to wear. You do not need to take them off every time you want to do something with your hands. 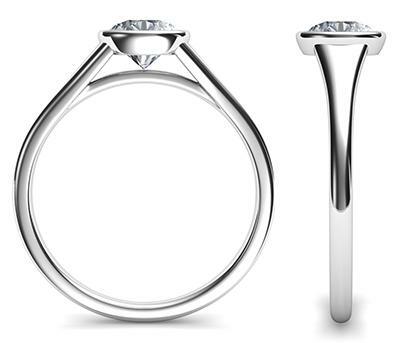 The low profile engagement rings miss the elevation of prong and other settings. The lack of prongs and similar clasps ensure that the rings do not catch hair, yarn and other things on an everyday basis. They do not snag on any material and are therefore very easy to use. Aside from being wearable 24/7, these rings are also easy-to-clean. They do not need weekly cleaning to begin with, like other rings. Even when you clean them, it’s quick and easy because there aren’t many crevices and corners to cover. The rings are bereft of intricate details that make them dust magnets. Just scrub the surface and brush the underside gently and you are good. One great advantage of a low-profile setting is its design. Their design ensures extra protection and safety for the gemstones. The settings protect the gem from all sides and even prevent damages sustained from nicks and bumps. That makes these rings practical for heavy users.